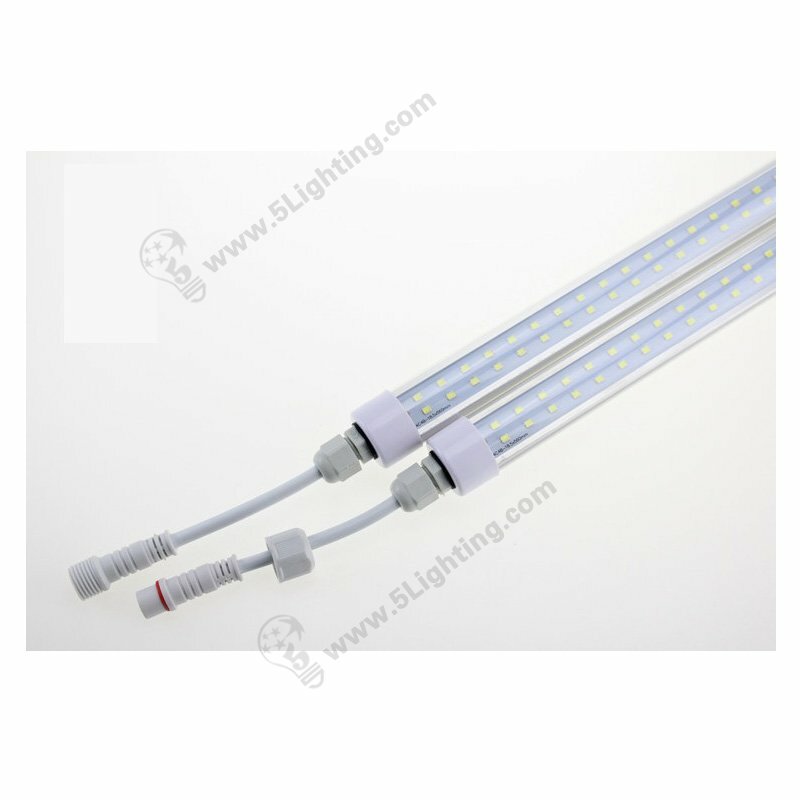 Most of LED tube lights in the market could not be linked together one by one . 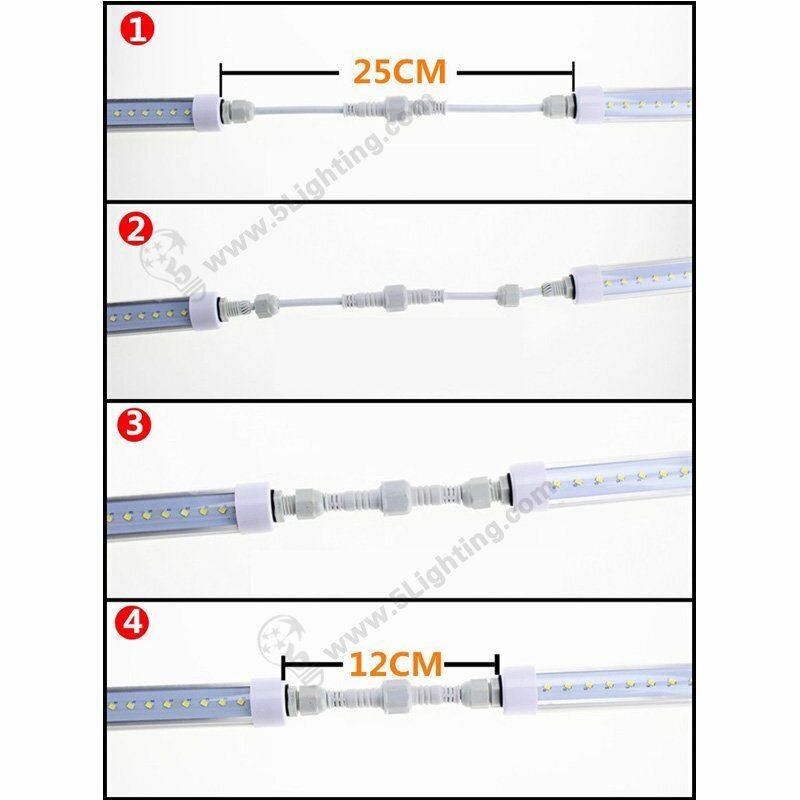 Because they are G13 / G5 lamp base in standard , they should be settled into lamp holders and switch on/off . 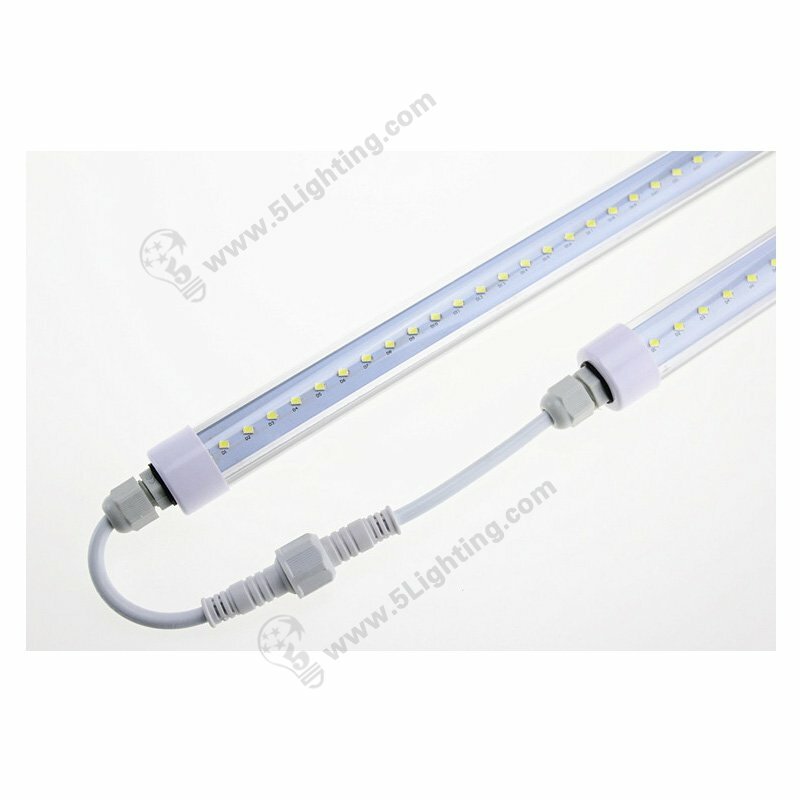 Integrated tube lighting fixtures are common type linkable linear LED task lights nowadays . Our daisy chain tubes are 360 degree much wide beam angle than integrated lights and can be IP65 waterproof for any moisture areas . 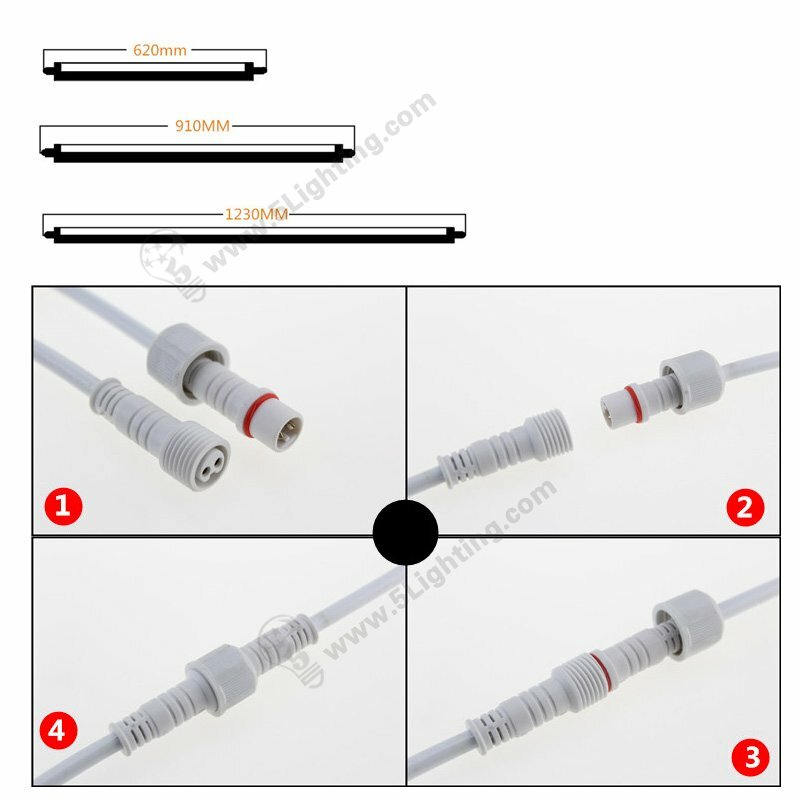 This daisy chain led tubes can be very suitable for aquarium stores because of it’s waterproof specialty . Our standard voltage input is 110V / 220V , it can be 12V / 24V either . As some customers would use them for boats, trucks, RVs, off-grid solar systems … Low voltage is a must . 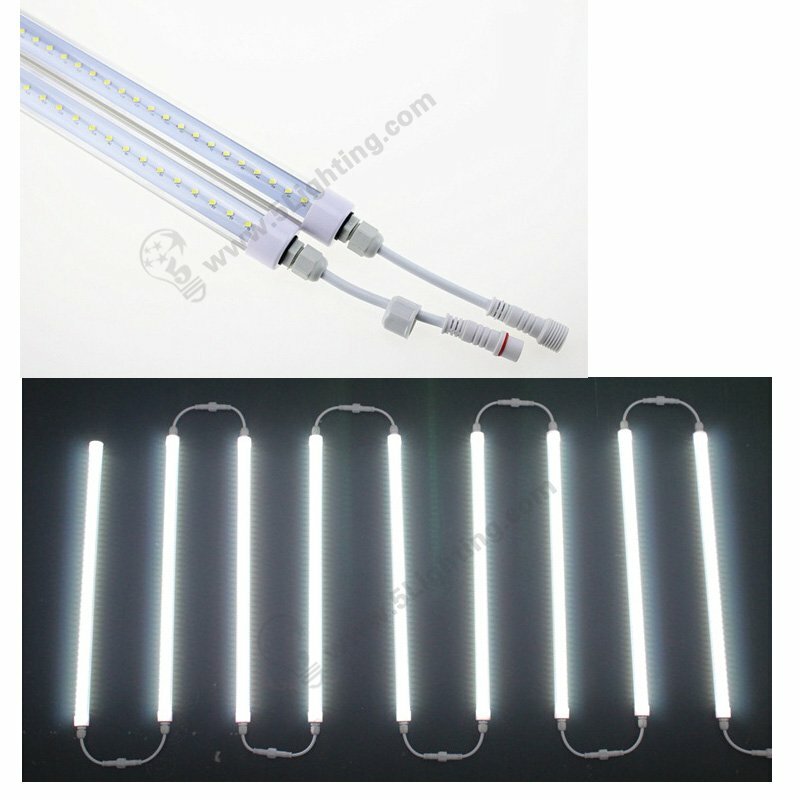 Our series connection T8 tube lights can be GREEN / RED / BLUE in color besides WW / NW / CW in CCT .